(11.11.2009) War Resisters’ International learned today that Lance Corporal Joe Glenton, who already faces charges of desertion for refusing to return to Afghanistan, has been arrested and charged with five counts of "disobeying a lawful order" for speaking at an anti-war demonstration in London on 24 October 2009, and for expressing his opposition to the war in Afghanistan to the media. The new charges carry a maximum penalty of ten years - in addition to the punishment for desertion. Penalties for desertion and absence without leave and for other military related crimes are regulated in the Armed Forces Act 2008. 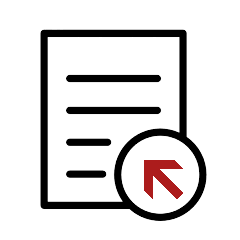 According to section 8, desertion can be punished with life imprisonment if the aim was to avoid a period of active service, otherwise with no more than two years imprisonment. Being absent without leave can also be punished with imprisonment of up to two years (section 9). ”I believe that when British military personnel submit themselves to the service of the nation and put their bodies into harm’s way, the government that sends them into battle is obliged to ensure that the cause is just and right, i.e. for the protection of life and liberty. The war in Afghanistan is not reducing the terrorist risk, far from improving Afghan lives it is bringing death and devastation to their country. Britain has no business there. I do not believe that our cause in Afghanistan is just or right. I implore you, Sir, to bring our soldiers home." War Resisters’ International believes that the new charges are a violation of the right to freedom of speech. 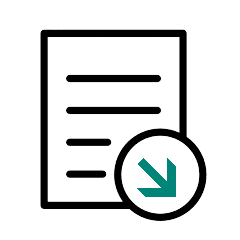 In a report to the United Nations Human Rights Committee from September 2009, WRI pointed out that, as QR(Army) J5.581 states, members of the Armed Forces “are not to take any active part in the affairs of any political organisation, party or movement. They are not to participate in political marches or demonstrations”. This is a serious infringement of the right to freedom of association and to freedom of peaceful assembly, as enshrined in Article 21 and 22 ICCPR". Members of the Armed Forces are also not permitted to speak in public or to the media without prior permission, which is a violation of their right to freedom of expression (Article 19 of the International Covenant on Civil and Political Rights). Britain is a signatory to the International Covenant on Civil and Political Rights, and of the European Convention on Human Rights. The new charges against Joe Glenton are in violation of both human rights conventions. 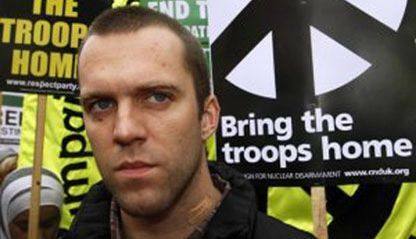 War Resisters’ International calls for letters of support to Joe Glenton: Lance Corporal Joe Glenton, Military Corrective Training Centre, Berechurch Hall Camp, Colchester, Essex CO2 9NU, Britain. War Resisters’ International calls for letters of protest to the British authorities, and British embassies abroad. A protest email to Defence Secretary Bob Ainsworth can be sent at http://wri-irg.org/node/9250. 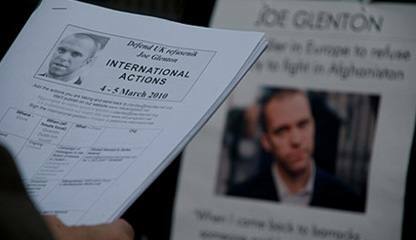 War Resisters’ International calls for the immediate release of Joe Glenton, and calls on the British authorities to drop the charges of "disobeying a lawful order".